Norway officially the Kingdom of Norway is a Scandinavian unitary constitutional monarchy whose territory comprises the western portion of the Scandinavian Peninsula, Jan Mayen, the Arctic archipelago of Svalbard, and the sub-Antarctic Bouvet Island. Norway has a total area of 385,252 square kilometres (148,747 sq. mi) and a population of 5,109,059 people. The country shares a long eastern border with Sweden(1,619 km or 1,006 mi long), which is the longest uninterrupted border within both Scandinavia & Europe at large. Norway is bordered by Finland and Russia to the north-east, and the Skagerrak Strait to the south, with Denmark on the other side. It shares maritime borders with Russia by the Barents Sea; Greenland, the Faroe Islands, and Iceland by the Norwegian Sea; and Sweden, Denmark, and the United Kingdom by the North Sea. Norway's extensive coastline, facing the North Atlantic Ocean and the Barents Sea, is laced with fjords, a renowned part of its landscape. The capital city Oslo is the largest in the nation, with a population of 630,000. 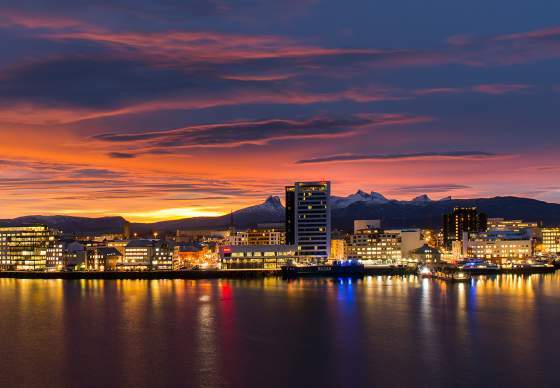 Norway has extensive reserves of petroleum, natural gas, minerals, lumber, seafood, fresh water, and hydropower. A vacancy as a staff specialist/consultant in Radiotherapy with experience in Oncology is open. The specialist/consultant will be working in the surgical clinic, which works closely withan university hospital. Chemotherapy is given at all hospital. Approximative. 2000 cures are given every year, in the area of gastro, mamma, lunge, gynaecology and haematology. Permanent contract after six-month trial period. Salary starting from 5000 euro net per month. Duties will be paid apart. Training courses within working hours. Help to find: apartment, school and kindergarten. Invitation to study tour to Norway after a first interview, to learn more about the region and the work environment. Free intensive Norwegian course, also for the family. Remuneration during the Norwegian language course of 700€ monthly net, a supplement for children of 70€ monthly net, free apartment and travel costs for the family.